A cute little post from Milwaukee favorite, Broadway Paper. Read about owner Kate Strzok's experience at the Milwaukee Wedding Planner & Guide's bridal show at the Midwest Airlines Center in downtown Milwaukee. Read the story and ogle the pics here. Sadly, a prior engagement kept me away from this show, but I am attending several in February and March. I'll have the inside scoop for you then. Whilst checking my e-mail (a daily obsession, I know) I found this! 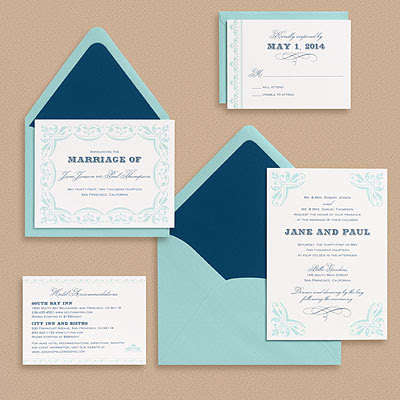 2010 Wedding Invitation Collection?! Yay! I love Paper Source, I really do. They just get better and better with each passing year. So tell me, what do you think? I am a sucker for a nice border. This one has it in spades. I really appreciate the homage to Victorian design. The cross-hatch pattern really does balance it out nicely. And, I have to say, that's one heck of a folded note. Yum! *Sigh* I swoon, I love this so much. I'm a big fan of playful elegance. I am dreaming of this in blush and gray. Or yellow and gray. here. 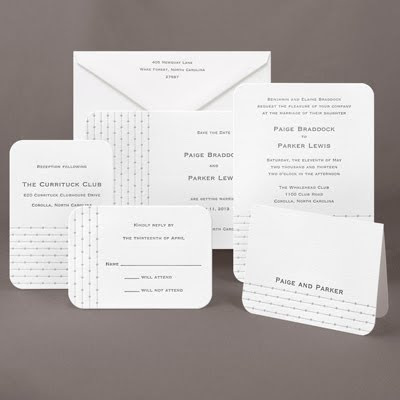 After you've done that, check out the rest of the website and the Paper Source blog. Get a load of this 5-gallon bucket of cute! I die! 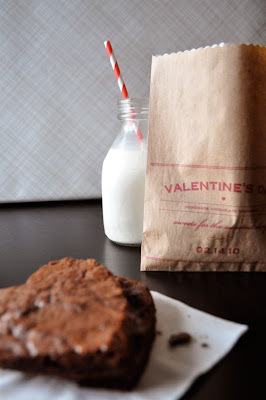 From Seattle based design genius, Twig and Thistle, these little DIY Brownie Bags were a huge hit last year. After tons of reader e-mail, she's updated the craft for the new year. Aren't you glad she did? You can download the template on her blog and print it right to the bag. Not very tech savvy? Not to worry, the instructions are at the top of the template. You'll notice that she's added the waxed paper layer to protect the craft bag-this was a reader suggestion and I totally agree with it. I would recommend doing this. The best part, you ask? Well, she carries the bags in craft AND white in her fab etsy shop. Do yourself a design favor and check out Twig and Thistle! You might remember a post a while ago about Birnbaum and Bullock? Well, I just stumbled across their 2010 preview. It's a doozy, I can tell you that much. The dress below is my fave so far. Look at that neckline! And that silhouette?! I die! 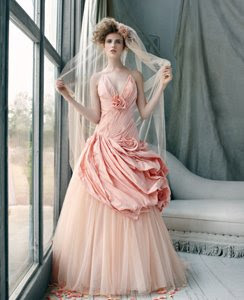 This is definitely an example of satin faced organza done right. Check out the rest of the preview and the rest of their collections here. Let me just take a minute to express my appreciation for this ridiculously talented design team. For me, they're a perfect 10. What could be better than all that style? How about an air of uncompromising beauty for every bride. This is their take on alternative sizing. Love it. Such an important sentiment phrased so beautifully. From the Trenches: Color Me Fab! Long time hover-er, first time writer. A suggestion though, more how to's. Also, more on colors and boards. My fiance and I are having a winter wedding. It's semi-formal to formal. We have a lot of traditional elements but we also really want our wedding to be all about us. I really want to wear a dress that isn't white. Or ivory. My Mom doesn't think it's appropriate and it can't be a formal wedding if I don't wear white. So can I do that and still have a traditional wedding? Hey there! Thanks for reading. The short answer: Yes, yes a thousand times yes. 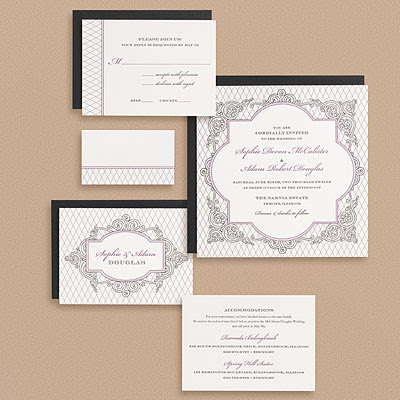 Of course you have have a formal/traditional wedding with a dress in some dreamy color. The long answer: One of the things I try to do as a designer is get rid of the notions of "can", "cannot", "should" or "should not". I believe that a wedding should reflect the relationship of the two people involved. No strings. I think each couple should make their own "traditions". If a bright pink dress makes you feel beautiful and shows off the extraordinary person you are, then you wear it! I love bold, bright colors, so I'm the last person that's going to rain on your parade. Here are a few dresses to get the wheels turning...Enjoy! I'm planning an 'Lovebirds' themed party and I wanted something cutesy for the wrap job on the favors that I could also use in other aspects of the decor. I remembered doing this when I was a kid and it was so much fun, I decided to use it. Love, love LOVE this and I hope you do too. 1. Fold a section of tissue paper (in some dreamy color) in half three times. You should end up with eight sections stacked like pancakes. 3. Set up your ironing board (make sure to keeps kids and fur babies from under foot during this step. Safety first, I always say.) Cover the board's surface with paper towels; place a sheet of waxed paper on top. 4. Arrange tissue paper shapes on the paper. Cover the shapes with another sheet of waxed paper. Layer more paper towels on top. Run an iron, on medium heat, gently over the layers to set. The best part about something like this is its flexibility. Think of how cute this would be with snowflakes or evergreen trees. I found the picture on the Martha Stewart website...it illustrates the process quite well. I intend to update this post with my pictures soon. The little boxes are so flippin' cute, I want to eat them! But I won't. 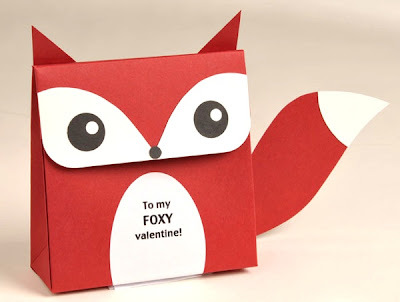 Instead I'll give you the link the downloadable .pdf instructions so you can make them yourself. 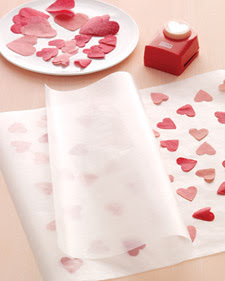 How cute would these be at a little Valentine's themed dinner party? 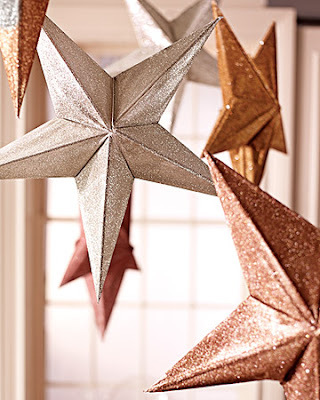 These would be so cute in chocolate brown, too! Oh, Paper Source you never let me down. It's that time of year again. The time of year when we all examine our lives and see what sorts of positive changes can be made. Sometimes we stick to them (start a wedding planning blog and event design company) and sometimes we don't (take up kickboxing). Since I already eat well, exercise daily, belong to Weight Watchers and conserve what I can, I decided to make a short list of resolutions that are a little more abstract, a little tougher to achieve. I hope to be able to follow these not only to the letter, but more importantly to the spirit. 1. Take more risks. Both personally and professionally. I want to keep broadening my horizons and I can only do that if I'm not afraid to fail once in awhile. I decided that just because I'm getting older (28) I don't have to let go of all of my interests. Besides, nothing worthwhile is ever easily attained. Nor should it be. To quote a popular 90's film, "The hard is what makes it great." So, in 2010, I will be fearless and I will run freely into the unknown. 2. Be nicer to myself. This resolution is two-fold for me. First, I need to ease up on myself a little. All the diets, exercise, stylish outfits and beauty products in the world can't help if I don't already love me just the way I am. I need to learn to be my best friend and not my biggest critic. We are all much more than what we look like. This year I will work harder than ever to remember that. Secondly, I need to (and I think this should be the anthem for the digital age) learn to relax when I am away from work and not feel guilty. That means, no checking the iPhone, no e-mail, no Facebook or Twitter. Just relaxation. In August while getting ready for my Honeymoon, I agonized over whether to bring my laptop along. "But what if they need me at the office? ", I kept asking myself. Finally, my Mom and The Hubbs had to remind me that a vacation is just that. In 2010, I will bask in the glory of vacations (and we're taking a few of them this year). 3. Blog more. I love authoring blogs. I really do. I am so proud of the two little blogs I started last year. It's here with all of you that I get to explore my passions. I get to write about pretty things, glamorous parties, and incredible weddings. Every time I write, I am exploring your ideas with you. Cultivating an idea into an event! But the best part is I have turned this all into an opportunity to do what I love in the city that I love. I feel great every time I sit down to a new post. In 2010, I want to feel great more often. So, What do you say? Let's make 2010 one for the books!